Along with Ubuntu, Xubuntu, Lubuntu, Kubuntu, etc. 12.10 beta 2, another Linux distribution which aims at becoming an official Ubuntu flavour has reached a new milestone yesterday: Ubuntu GNOME Remix 12.10 beta. 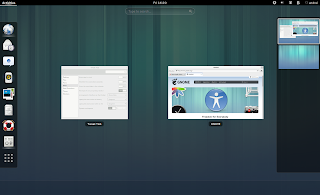 There haven't been many changes since alpha 2, except for the obvious: most of the GNOME application stack has been updated to 3.6 RC and if you run an upgrade as soon as you install Ubuntu GNOME Remix 12.10 beta, you should get the 3.6 stable packages for many of the GNOME applications. 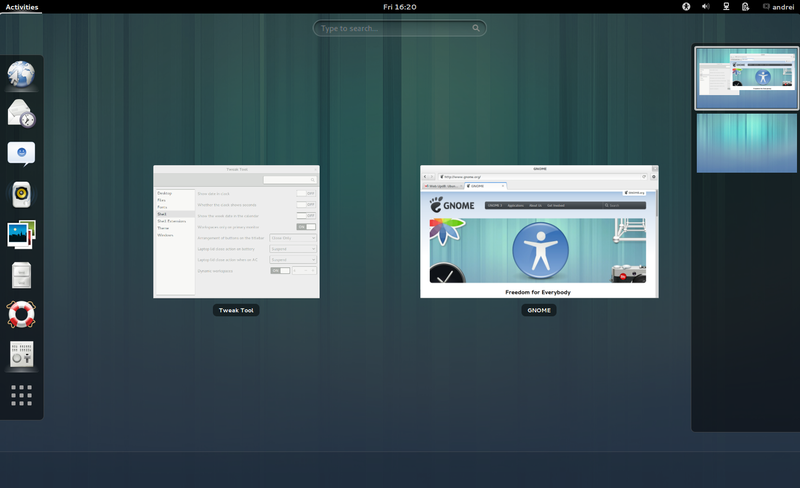 Also, GNOME Shell 3.6 and GDM 3.6 are already available with Ubuntu GNOME Remix beta. That means Ubuntu GNOME Remix 12.10 beta looks pretty much like the GNOME 3.6 video we've posted a couple of days ago (except for Nautilus 3.6 which isn't available in the official Ubuntu 12.10 repositories). Other changes in Ubuntu GNOME Remix 12.10 beta include bug fixes, like the "Undefined video mode" error which was present in alpha 2, and also, Evolution has been added to the default application stack. Unfortunately, there's still no Ubiquity slideshow and no Plymouth theme specific for Ubuntu GNOME Remix so if you can help, join the Ubuntu GNOME mailing list! The final Ubuntu GNOME Remix 12.10 version is expected to be released on October 18, just like the official Ubuntu flavours.